The Scruffs® Windsor collection is themed around two timeless colourways, in keeping with home decor trends. The beds are upholstered with a rich tweed outer sidewall, combined with contrasting chenille lining. A faux leather centre patch with embroidered Scruffs logo and faux leather piping complete the beds detailing. 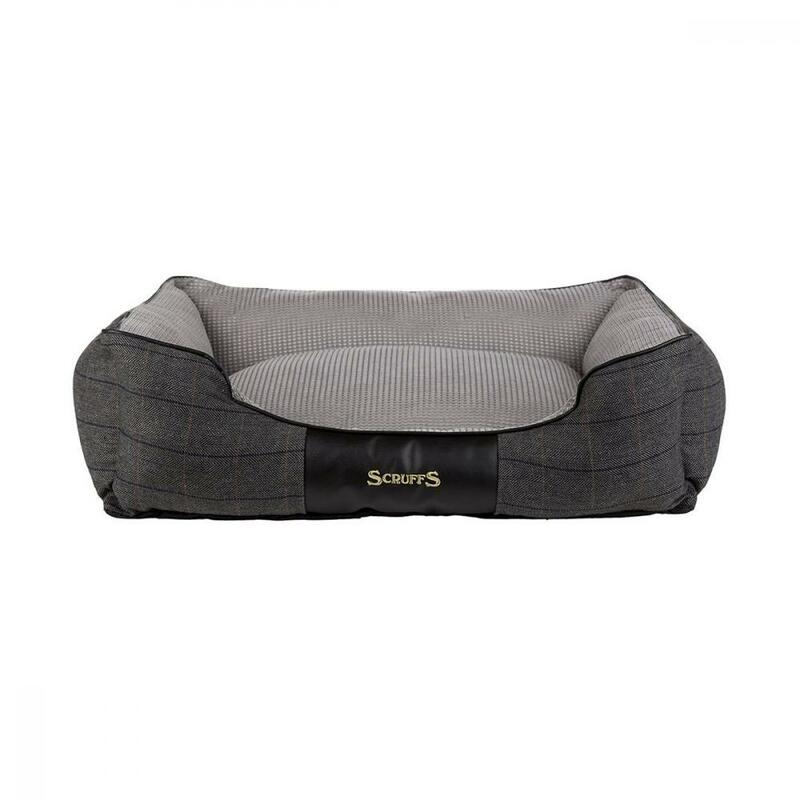 Each bed has a non-slip base and is machine washable. 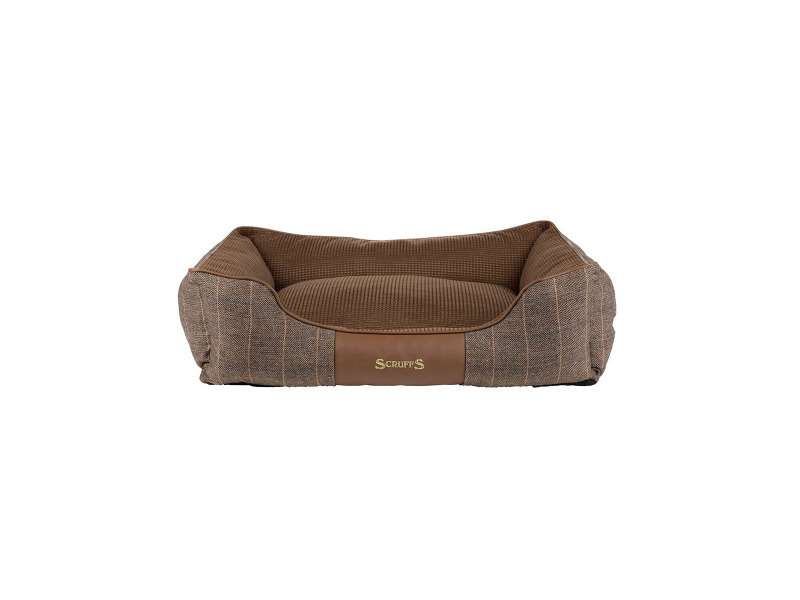 The box dog bed is made using a one-piece construction providing greater support and enhanced durability during washing. 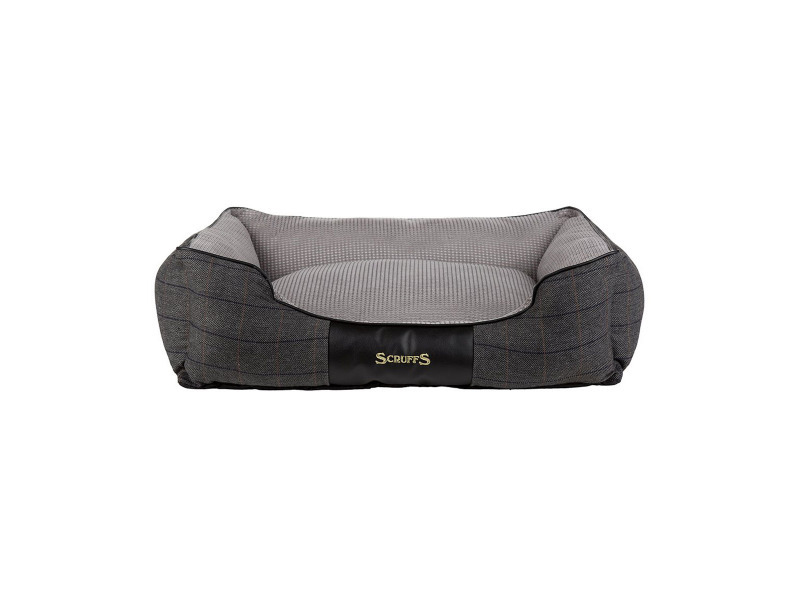 There are currently no questions for Scruffs Windsor Box Bed - be the first to ask one!